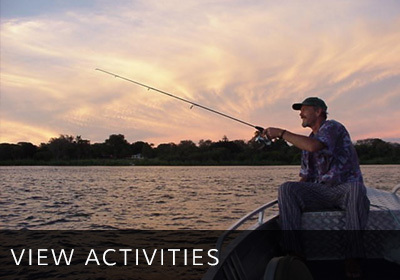 The main catches in the Lake are Cychlids (bream, tigerfish, yellow belly) and catfish. About 57 000 metric tons of fish are harvested from the Lake each year. Although fish stocks are not in danger, catches are declining and the favoured species are becoming thinner. 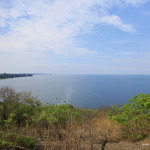 The fisheries of the Bangweulu are one of the largest in Zambia. This has lead to some of the highest population densities around the Lake where commercial fishermen have settled. Nevertheless the fishing industry is not economically well developed and inadequate controls and marketing facilities threaten both sustainability and profitability of the industry as a whole. Many of the fishermen trade their catches purely on a barter system for essential commodities. During the rains (November to March) the insects are more prolific but the birdlife is phenomenal. All trips in and around the swamps are by boat. The Chimbwe floodplain will be inundated and to attempt to drive to Shoebill Island Camp will be impossible. There is a raised causeway leading from the last village before the floodplain, Muwele, to Chikuni. A small banana boat is used to reach the Camp from Chikuni, a trip of 4 kms through tall grasses and reeds. Depending on the extent of the rain during the summer, the floodplain dries out sufficiently to allow the passage of 4x4 vehicles by mid to late April. It is then possible to observe the black lechwe at close quarters and also to reach another raised causeway that leads to Shoebill camp. By June/July, much of the floodplain is dry and the lechwe have moved closer towards the permanent swamp and Shoebill Camp. It also becomes possible to take walks from the camp and experience the strange sensation of walking on the floating mats of vegetation which grow on the surface of the once open water. While the number of birds around at this time of year is still extensive, the number of species drops with the departure of the summer migrants. August is very much the middle of winter in the swamps, and although the daytime temperatures are pleasant it can be extremely cold at nights with temperature dropping to freezing. Go through the Kasanka boom, past the Kasanka gates on the left, and proceed 7km. Take the right turn signposted Livingstone Memorial at Chalilo. From Nsobe Camp continue for 10km across the floodplain, following the causeway to Chikuni, and 1km on to Shoebill Camp (during the wet season, a boat transfer should be organised from Nsobe). Landing fees of US$10 per aircraft per landing are payable. Sky Trails Air charters is based in the area and operates regular flights into Bangweulu. One of the best reasons for coming to this unusual watery wilderness is the remarkable experience of this infinite flat expanse. The views to the horizon seem endless and one imagines one can almost see the curve of the planet. 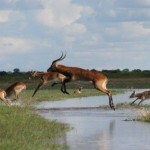 The birdlife is just magnificent and the sight of thousands upon thousands of the endemic black lechwe, unforgettable. 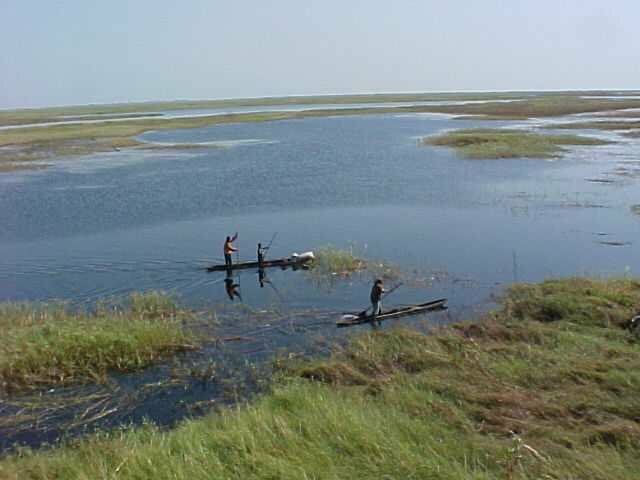 Vast open floodplains, several kilometres wide exist at the periphery of the permanent swamps. These may lie under a blanket of water from a few centimetres to a meter deep from 3 - 6 months a year depending on the extent of the summer rainfall. These shallow waters provide ideal feeding grounds for huge numbers of indigenous birds as well as numerous summer migrants, many who will have travelled the length of Africa to winter-over in the swamps. White and pink backed pelicans, wattled cranes, white storks saddle billed storks, spoonbills and ibises in flocks numbering in the hundreds as well as many species of the smaller waders, are a common but dramatic sight when the waters are rich in small fish, shrimps and snails. One of the most rare and elusive birds in Africa, the shoebill, Balaeniceps rex, favours the Bangweulu swamps as one of their last remaining habitats and during the early months following the rains, this strange looking bird can regularly be seen on the fringe between the permanent swamps and the floodplains. Other fairly rare birds that are reasonably abundant in the area include the swamp fly-catcher, marsh tchagra, marsh whydah and the white cheeked bee-eater. The ground hornbill and Denham’s bustard are also a common sight as they patrol the grassland for large insects. The floodplains simply teem with birds including pratincoles, ruff by the thousand, crowned cranes, Montagu’s and Pallid Harriers. The shallow waterlines abound with ducks, geese, jacanas, spoonbills, pelicans and occasionally flamingos. Other notables are the slatey egret, black egret and goliath heron. Watch out too for the swamp fly catcher, white cheeked bee-eater and the rosy breasted longclaw. With wetlands, grasslands and woodlands in such close proximity, a great diversity of birds can be seen in a relatively small area and to date nearly 400 species have been recorded here. 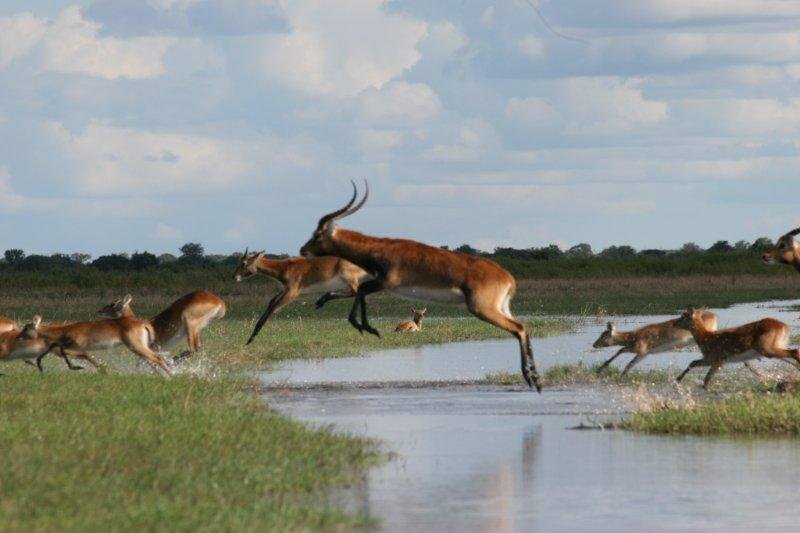 Unique to the floodplains of the Bangweulu swamps is the water loving black lechwe (Kobus lechwe smithemani), which can gather in herds of up to 10 000, following the floodwaters as they recede during the year. The shy but attractive sitatunga, Tragelaphus spekei, is associated more with denser vegetation and has hooves especially adapted for walking on the thick mats of floating vegetation. These antelope are good swimmers and can spend the greater part of the day immersed in water and when disturbed, can submerge with just their nose visible. Course grasslands are found bordering the floodplains where the land is imperceptibly higher and not subject to such extensive flooding. The Oribi, a shy and petite antelope, enjoys the long grasses and can frequently be seen in the late afternoon when small family groups stand up to feed. The areas surrounding the termite mounds, characteristic of the swamps is an environment much favoured by the tsessebe, the world’s fastest antelope, which can be seen in herds of over a hundred strong. Also seen in the woodlands are common duiker and reedbuck. 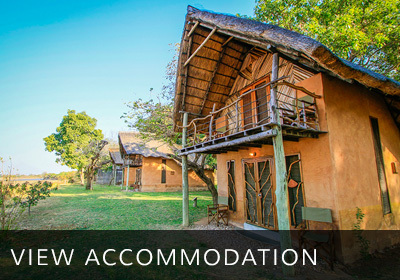 Less frequently roan, wild dog and vervet monkeys, as well as smaller more nocturnal mammals such as mongooses and bushpigs. Until the early 1980’s there used to be lions in the swamps that preyed on the lechwe and sitatunga. But with the increase in human activity around the edge of the swamps, they have unfortunately been eradicated. Although rarely seen, leopards do exist while hyenas and jackals are often heard at night and occasionally encountered on night drives. Later in the year, when the flood waters have receded, buffalo and to a lesser extent elephant move into the area to feed on the plentiful grasses. Numerous crocodile and hippo are found in the permanent water channels or lurking in the papyrus reeds. 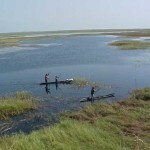 The swamps are a protected wetland having international importance under the ramsar Convention. The area is ecologically very sensitive and great care should be taken when driving around the floodplains in the dry season. Stick to existing tracks and keep driving to a minimum. The higher ground surrounding the Bangweulu is dominated by miombo woodland intersected by numerous dambos. The floodplain itself is dominated by grasslands varying in composition according to the depth and duration of annual flooding. For the most part, the swamps consist of areas of open water surrounded by permanent dense stands of Papyrus grass and Phragmites reeds which are only accessible by shallow canoe via an intricate network of narrow channels. In contrast, the temporarily inundated floodplains, grasslands and woodlands provide for a greater range of vegetation types and as a consequence a greater diversity in the bird an animal species who inhabit these areas at various times of the year. Numerous termite mounds are scattered over a wide area. They are such a feature of this environment that Livingstone once described the Bangweulu floodplain as "a world of water and anthills." These raised mounds act as small islands safe for any flooding and allow the survival of various tree seedlings. Over time these trees have become well established with the result that a woodland has developed and contains good examples of water berry, Syzygium cordatum, sausage tree Kigelia africana and several figs, to name but a few. In order to preserve this unique habitat and wildlife, African Parks took over the management of the area in 2008, in partnership with the local communities. 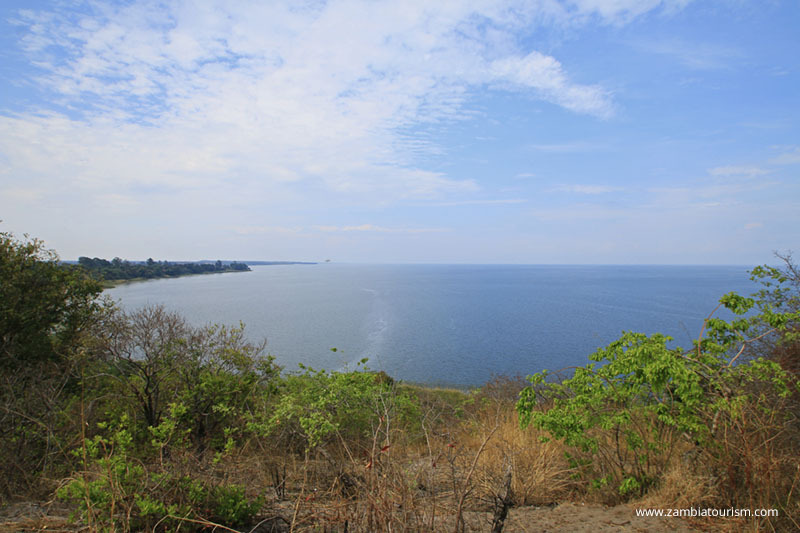 They will not only protect the area from poaching and resource depletion but also encourage tourism to the area so that others can enjoy the Bangweulu Wetlands. African Parks will work with seasonal fishermen, whose livelihoods depend on the fishing in the area, and the local community to enhance and protect the area and create a model conservation partnership. 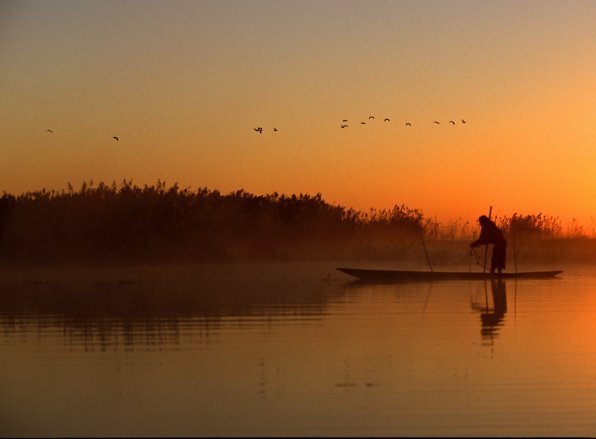 Travel & Safari videos - Bangweulu Wetlands, Zambia from Will Bolton on Vimeo. Funded by Andy Hogg pf the Bushcamp Company.